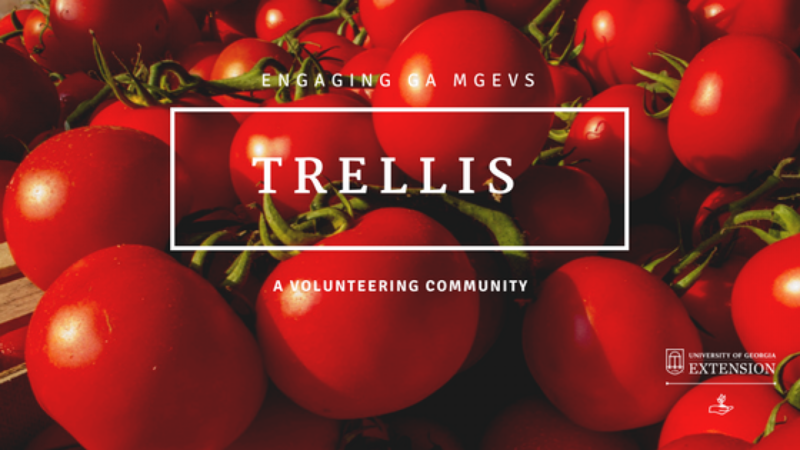 Trellis | What’s this about a Facebook Fest? What’s this about a Facebook Fest? This is an example of the beginning stages of a Facebook Fest. Notice the pictures, comments, and the reply to begin a conversation. On April 1 (no joke! ), we offered the first Facebook Fest for the Georgia Master Gardener Extension Volunteer Program. Our first topic was launching MGEV trainees. Through a series of pictures and questions, we were working to have a conversation about how local programs plan to engage new MGEV trainees in local projects. This conversation takes place online, is open for an extended time period, and it simply requires visiting the Georgia Master Gardener Facebook Page and sharing pictures or comments that relate to the topic of the month. The goal of this casual online event is to use Facebook as a means of communication and interaction between MGEVs and Extension faculty and staff around the state. Facebook has handy, easy to use tools for anyone with access to the site. It is easy to hit the “Like” button, share a photo, post a comment, or reply to a comment on a post. Having many Master Gardener programs around the state means that there are many wonderful projects, ideas, and words of advice and encouragement buzzing around! Participating in the Facebook Fest can be something as simple as sharing a word of advice with a new MGEV trainee, posting a photo of a recent project, or engaging in a conversation with another MGEV by replying to comments. The First Friday Facebook Fest will be held on a monthly basis on the first Friday of each month. To start things off, Sheri and Sarah at the State Program Office will post a series of pictures, comments, and questions to create a framework for conversation about the topic of the month. Join in and reply to these posts, sharing your MGEV or Extension perspective with other MGEVs. This is a great opportunity and platform for connections to be made, questions to be answered, and for new ideas to be brainstormed. It is valuable to join in and contribute to an intertwined perspective of the MGEV Program! Posted in Training. This entry was tagged FB Fest, trainees. Bookmark the permalink.